Bagster by Waste Management – good idea or not very practical? 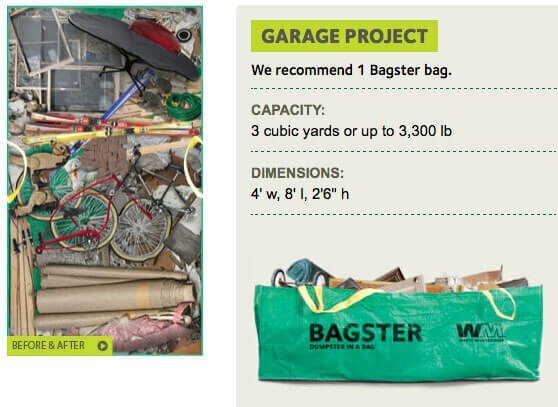 A Bagster is a bag offered by Waste Management that serves as a portable dumpster that a person can purchase at Home Depot for roughly $29 to $49. The individual then takes it home and fills it with their unwanted junk, construction debris, and anything else they might be able to fit that they want to get rid of. Once the Bagster is full Waste Management sends out a truck equipped with a crane (shown above) picks up the bag and go about their way. Waste Management sells this idea to homeowners and business owners alike under the far stretched promise that the service is an affordable means for people to get rid of anything and everything (besides Hazmat) for as little hassle as possible. Simple, easy, and affordable, sounds like a great idea right? Well, just like your parents may have told you in the past "sometimes things that sound too good to be true, they typically are". Well that saying couldn't be more accurate when it comes to Waste Management's Bagster. The first thing to understand here is there is ALOT of fine print and it's spread all over Waste Management's website (we are guessing on purpose). Most of our customers, yes our customers, found these finer points out when they were calling to schedule their pickup, unfortunately, after already having spent their time and money buying and loading the Bagster. So to help you, our future customers we have combined ALL of their fine print points of interest here in one area so you are fully informed before making the mistake so many others have done before you. The Catch: The Bagster costs $30 for the bag itself which is a one time use. The pickup averages $180. The booking fee is $8 and any other fees that will be included (there are). So for the cost to dispose of a heaping full size pickup trucks worth of junk and debris costs a total of roughly $220 using Bagster - and lets not forget too mention the time and effort to go buy the bag and remove carry and load the it yourself. The Catch: Look back on top of the page, see that ginormous truck with the 16 foot crane? How is that supposed to pick it up from a place that was convenient for you? The answer is it's not, they won't pick it up unless its curbside, or in your driveway, which needs to be at least 12' wide and have an overhead clearance of 18-20'. You also must be willing to sign their damage waiver so they can driver their 70,000 pound truck on your driveway meant for 5-10k pound cars and trucks. For at least 20% less we come out and remove your items from where they sit, all you need to do is point and we remove it. 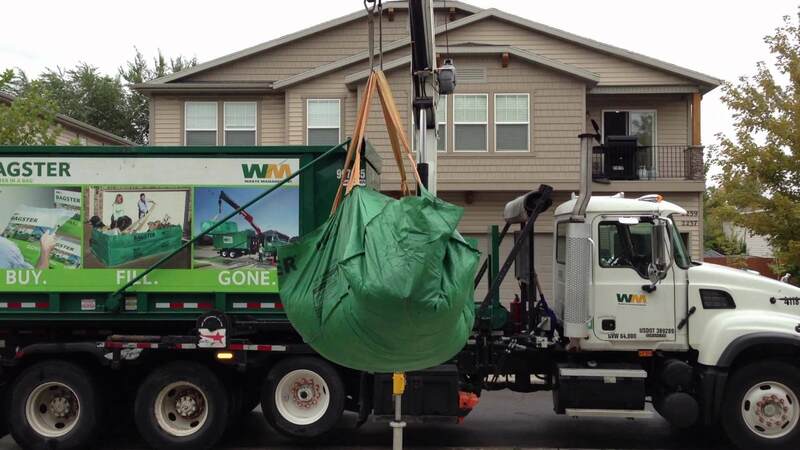 The Catch: Lets face it, compared to most junk and debris removal services this is not easy, fast, and convenient!? You are making a trip out to get a bag, you are carrying all your unwanted junk, debris, and unwanted furniture 20-30+ feet from where its all currently at (probably a few stairs involved), then the call scheduling the pickup, supervising the pickup, calling to make a payment.. An average of 4 to 8 total hours and $220+ all to get rid of a little more than a pickup trucks worth of junk?! NOT CONVENIENT! Using Trash Can Willys to handle this pickup trucks worth of junk you could spend up to 3 minutes booking your pickup online here or calling us to schedule, the crew then calls when they are close during your two hour appointment time frame, verify the price upon arrival, load everything up in 20 minutes, take payment on the spot, and are gone. Leaving you with a maximum of 15 to 20 minutes worth of time spent and having saved 20% while not lifting a thing. Whats the point in using a disposal service if you cannot get rid of all these items!? Here's what we do not except at Trash Can Willys: Hazmat and paint, that's it! Promise #5: They will discount your second bag pickup by $20. The Catch: $20... So getting rid of 2 heaping pickup trucks worth of junk will run you about $420... thats a discount of less than 5% folks!? Available Discount 2 - If there is a sizable amount of precious metals or iron we do not charge to take these items away because WE recycle them for you, we then pass the savings on to you our customers. Available Discount 3 - If there are items that can be repurposed and even fixed and resold we will discount your removal accordingly. 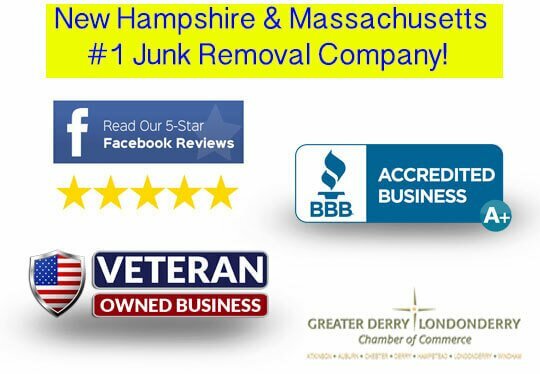 In the event an item is able to be resold without repairs we will determine its fair market price and give you 50% of that fair market price off the cost of your junk removal! Here's an *example of the above put into an understandable, common day occurrence for our customers. A customer calls with 2 full size pickup trucks worth of junk, we phone quote the job at a **guesstimate of $240 to $280 or less, our crew arrives and notices 300 pounds of metal we can recycle, 300 pounds of items we can donate, and a couch we can resell for $100. After seeing the load size the onsite quoted price for the removal is set at $260, but the customer has a $40 coupon for following us here on Facebook (Available Discount 4), now the price is $220, now the metal and donation discount is applied $220-$72, now the 50% discount for the couch we can resell is taken off $148-$50 leaving a final price of $92... Yes folks, this is with us doing all the work. We could keep going here honestly like on what happens if the Bagster is overfilled or too heavy or too many shrubs or boulders... but we think you get the point. Bagster is an overpriced service, that doesn't offer much in the line of service, that you will end up spending more money, time, and effort running yourself in circles for just to get rid of measley pickup trucks worth of junk. We do not sell or redistribute any of our customers' information. We do not Spam our customers and Trash Can Willy's website operates on a secure server so your information is protected. *example - this is just that, an example of pricing and does not reflect every customers pricing experience. The load determines the discounts applicable. **Guesstimate - All phone or email quotes are complete guesstimates aimed at giving our customers so type of idea for how we price and what they should expect to pay if their load falls into the standard job inline with that quote. In plain English for the sake of full disclosure we cannot put an exact price on what we do not see, rather we offer our best guess. However, all of our customers are welcome to receive an onsite estimate by our manager so we can offer upfront pricing without any cost or obligation, it our pleasure just to have the opportunity to earn your business. Also, if booking a job based on a guesstimate, our crew offers an exact price upfront upon arrival, at which point there is still no obligation or charge. If for some reason you think you can find a better price than we offered and chose not to have us do the removal, we will thank you for the opportunity and go about our day. Previous: Previous post: Learn How To Tips For Disposing Wet Liquid Latex Paint! Next: Next post: Book Online Now and Save $10! Book Online Now and Save $10! Learn How To Tips For Disposing Wet Liquid Latex Paint!